Sometimes I’m not sure if I get on some sort of unconscious jag that makes me seek out groupings of things or if I just happen to be moving across a sticky thread of the universal web that keeps putting them in my path. Are you superstitious? Do you think things happen in threes? Well, over the last 3 months I’ve had 3 big boots come into my life. 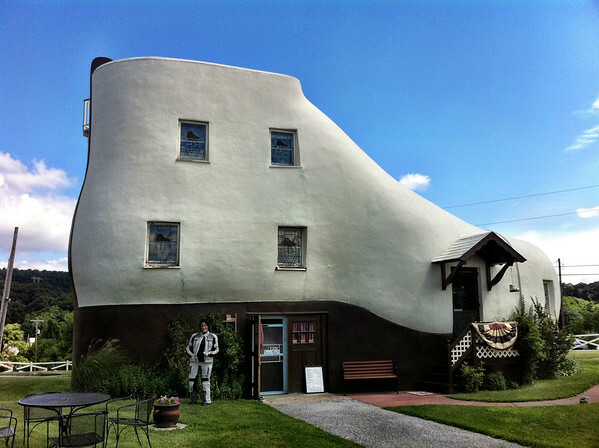 First there was a visit to the Haines’ Shoe House which is decidedly boot-like and all sorts of awesome. 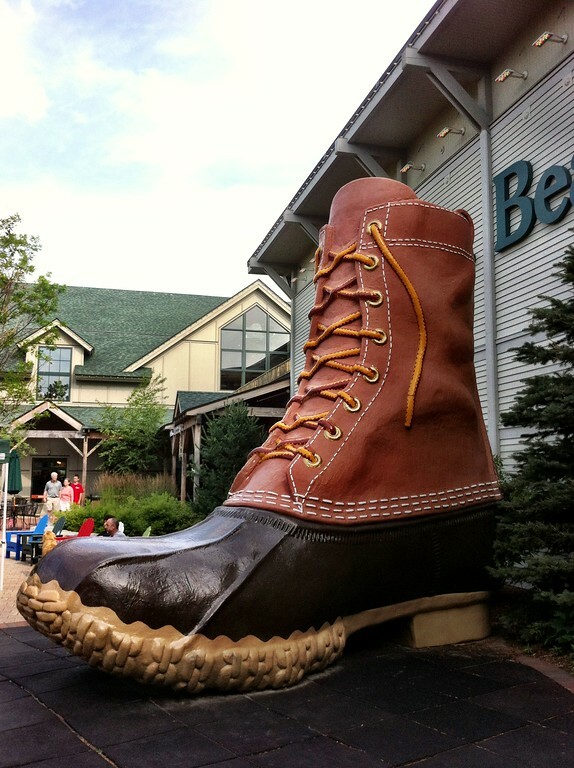 Then on a pitstop at LL Bean in Freeport, Maine I saw the giant Bean boot. Boot number three came rather serendipitously to complete the trifecta of footwear. A few weekends ago I rode past the ruins of a place once called Fairy Tale Forest in Oak Ridge, New Jersey. Behind the fence of what is now a self-storage facility there was a giant boot-house was being refurbished. You can go a whole lifetime without seeing any giant boots. Then whammo! they’re everywhere. A kick in the pants is coming? Is the universe trying to give you a boot in the a$$? That seems to be the theme. If they are, I’m glad…….. great pics. I love the boots! 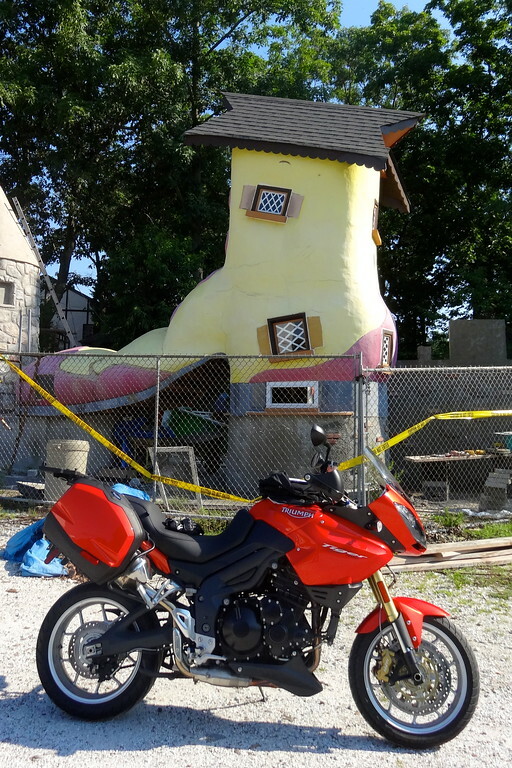 I’ve seen only one boot-like house at either Adventure Land or Santa’s Village when I was a kid. I believe the old woman who lived in a shoe was its inhabitant. Ha-ha.! Hmmmm. Reminds me of the guys on “American Pickers” and their big ol’ boot that they are trying to sell! It means you have a natural magnet inside you, attracting you toward weird and interesting things. Which explains our friendship. Or… that you are in for a pair of brand new motorcycle boots.